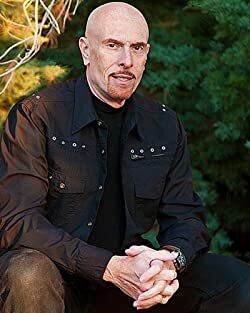 Goodkind was born and raised in Omaha, Nebraska, where he also attended art school, one of his many interests on the way to becoming a writer. Besides a career in wildlife art, he has been a cabinet maker and violin maker, and he has done restoration work on rare and exotic artifacts from around the world. While continuing to maintain the northeastern home he built with his own hands, in recent years he and his wife, Jeri, have created a second home in the desert Southwest, where he now spends the majority of his time. 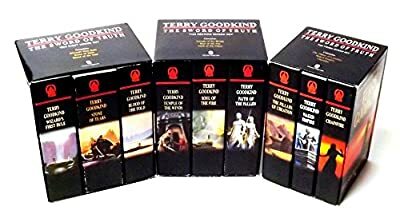 “I am not, in the essential sense, a fantasy author… To define me as a fantasy writer is to misunderstand the context of my books by misidentifying their fundamentals.” ~Terry Goodkind. “Richard — he in a sense is my alter ego — he acts in the way I would act.” ~Terry Goodkind. You can read more of his thoughts at Terry Goodkind’s website. The Sword of Truth: This is a mean number of stars. I mean a statistical mean. 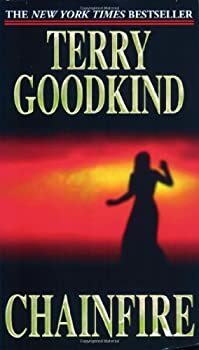 Terry Goodkind’s first book, Wizard’s First Rule, was entertaining many years ago when I was a relatively new adult epic fantasy reader. Except for the actual First Rule ("People are Stupid"), which was... stupid. The story had some fascinating characters (mostly the secondary ones — I could never muster up much care for Kahlan) and Richard started out as a pretty good hero. The next couple of books of The Sword of Truth were also fun for someone who is not particularly demanding (which I wasn't at the time). The Sword of Truth, though a bit derivative, started off well and, while it has had its stops and starts, it has generally been well-worth reading. The good news about Chainfire is that it is a much better than book than the previous one, Naked Empire. 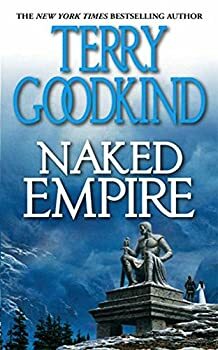 The bad news is that Naked Empire set such a low standard that this isn't saying much. Chainfire isn't awful, like Naked Empire. It isn't even all that bad (except in parts). But it also isn't all that good. Mostly it's a serviceable novel moving us toward the series' end, one which probably should have come a few books ago. 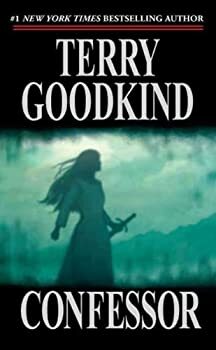 Confessor is the last book in Terry Goodkind’s epic fantasy/philosophy series The Sword of Truth. When the series began, many readers thought this book would be a great fantasy trilogy, short and sweet. It quickly blossomed into eleven novels, each 500 or more pages in length, and the novella Debt of Bones. Throughout that time, it generated a lot of criticism from fans of speculative fiction and professional critics. Yet each novel has consistently stayed at the top of many bestseller lists, alongside many “mainstream” books. It is a strange sort of situation. The series is both widely popular and particularly reviled.